Produce your own animated movies! Producing animation requires teamwork and collaboration, problem solving and creativity. 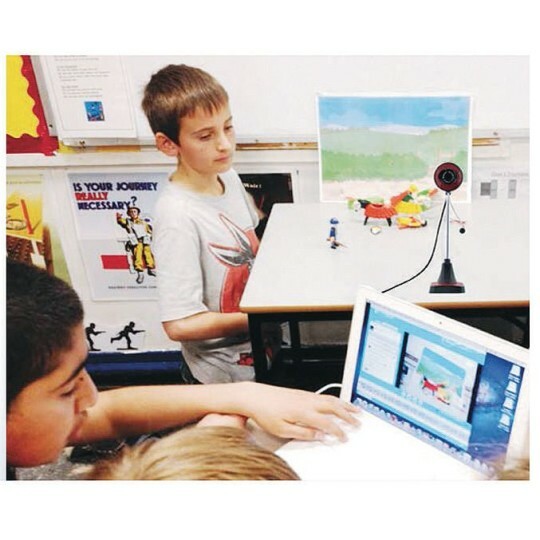 The Animation Studio Kit is perfect for students of all ages. The Animate It! software is detailed without being overwhelming and kids will love seeing the end result of their hard work. Edit and watch your animation while making it and features time lapse, variable frame rates, copy and paste sequences, delete and reorder frames, and onion skinning. For Windows or Mac. 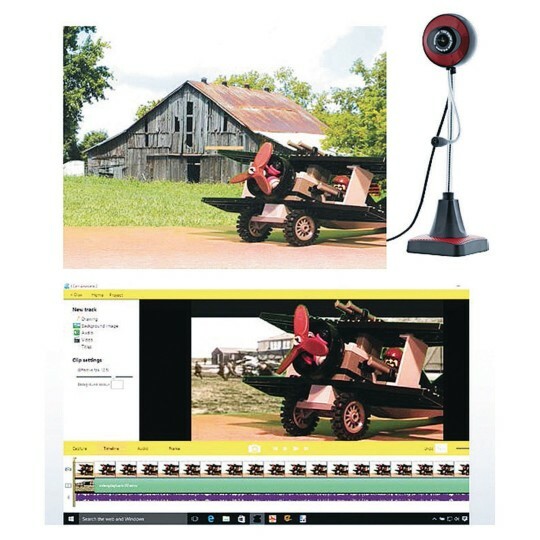 The webcam features bendable arms and non-slip base for easy positioning, 10x digital zoom, 5.0 MP, CMOS image sensor, gooseneck microphone, USB 2.0 interface, 360° rotating camera head, auto color correction, 30 FPS frame rate, 24 bit true color video mode, and 8 cm to infinity lens focus. Includes AnimateIt! stop motion animation software and 10x digital zoom webcam.